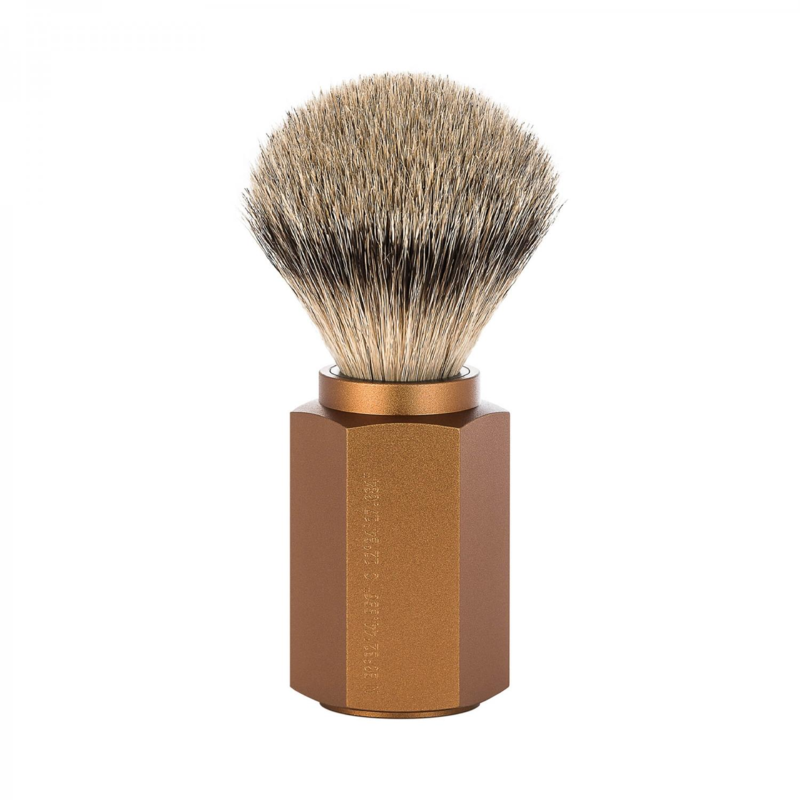 This Muhle rose gold shaving brush is the counter part to the rose gold Muhle razor. Both Items are fashionable due to the Jewelry like Image. The stainless steel shaft has a wonderful patina, that is latticed by the process of rolling. The Innards are brass, making it weigh a big 112 g, and standing a proud 100 mm. The brushes plume Is silver tip badger hair, It’s 21 mm ring makes It an Impressive stout girth. The high quality plated chrome Is embellished with the Muhle Insignia. 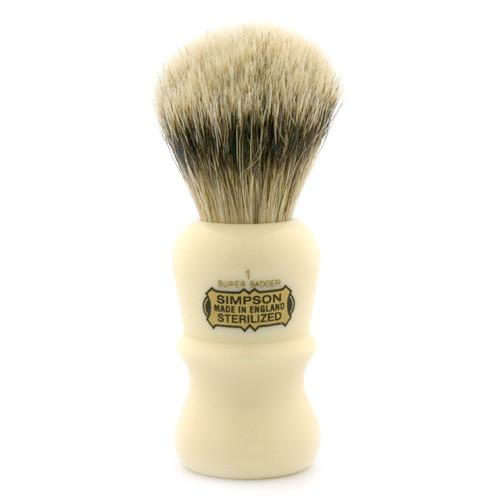 This Is an excellent traditional shaving brush. 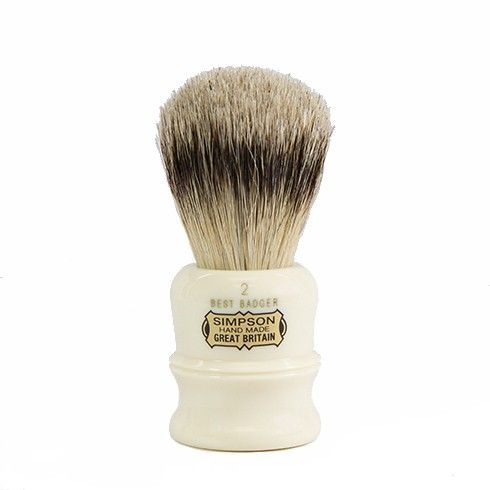 A high quality shaving brush should last the shaver 10 to 15 years, with the correct maintenance of rinsing after use, shaking and leaving to dry. This a wonderfull brush handling it is a real joy. A picture doesn’t quite do it justice. Customers of mine have handled one and bought it due to how it feels and looks. The materials are such quality and the markings are very ornate. 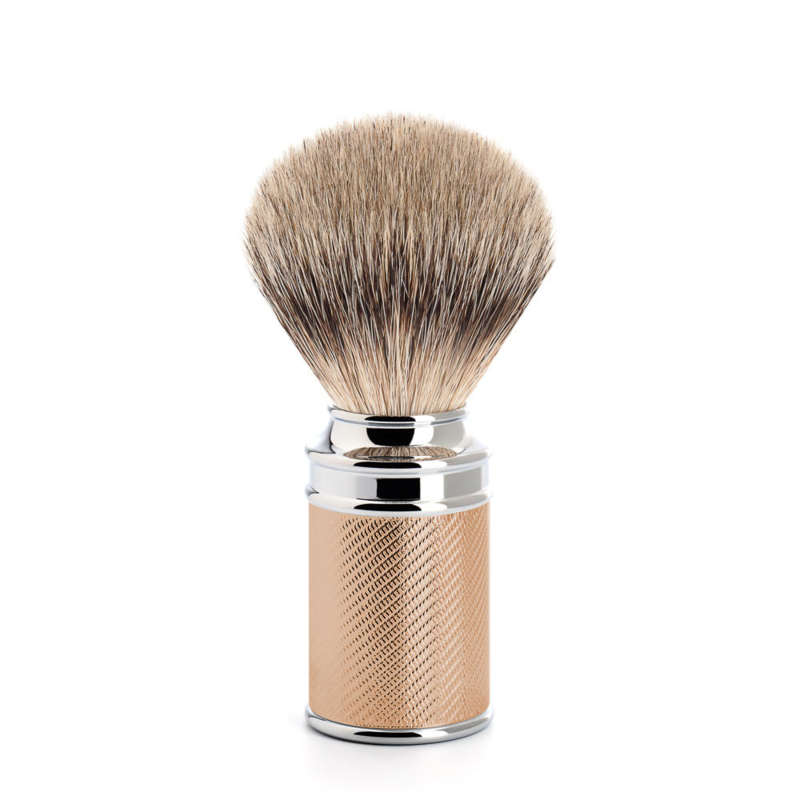 This brushes companion is the Muhle r89 rose gold, which has the same finish. The R89 is Muhle’s best seller, it is a powerful way to shave every morning and if you have the pair. Things couldn’t be better. There has been a great response to this brush and we are pleased to sell them. 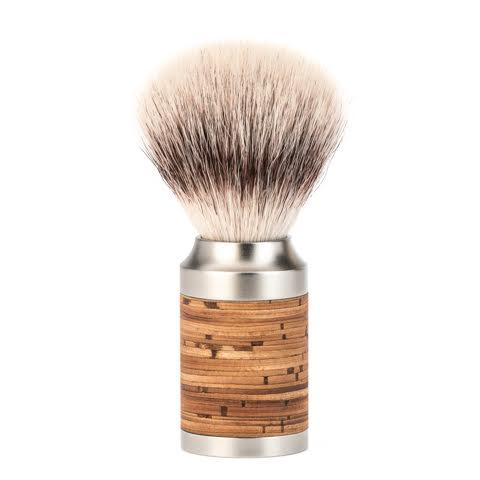 Edward’s are an official retailer of Muhle, who have been making high end shaving gear since 1945. Pretty clever as D’E shaving exploded after the 2 nd world war.